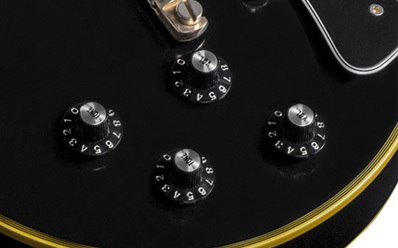 A Killer Black Beauty That's Ready to Rock! 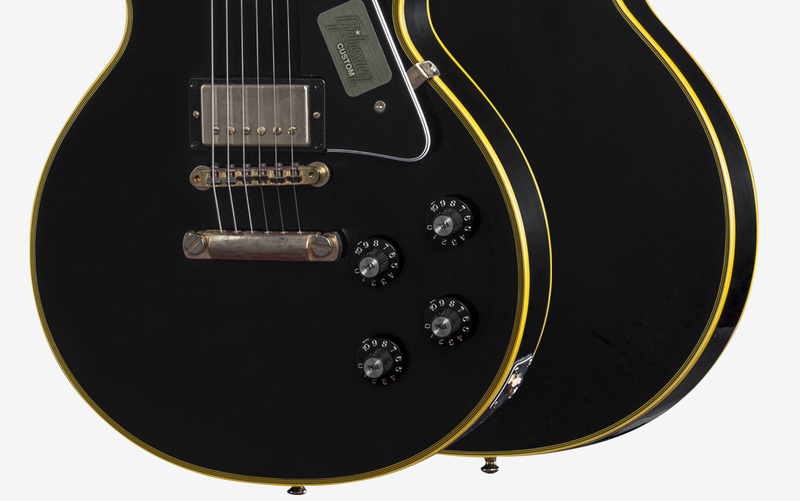 Built just as the Custom that re-emerged in '68, with long neck tenon, accurate neck profile, Alnico II humbuckers, and elegant 'Black Beauty' appointments. 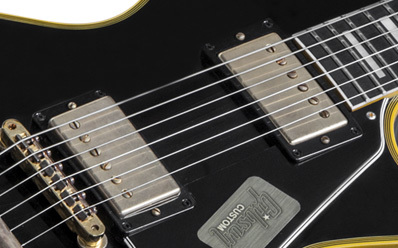 Historic Long Neck Tenon; Solid Fit, Vintage Tone Features the historic specification long neck tenon for true to vintage sustain and solid feel. 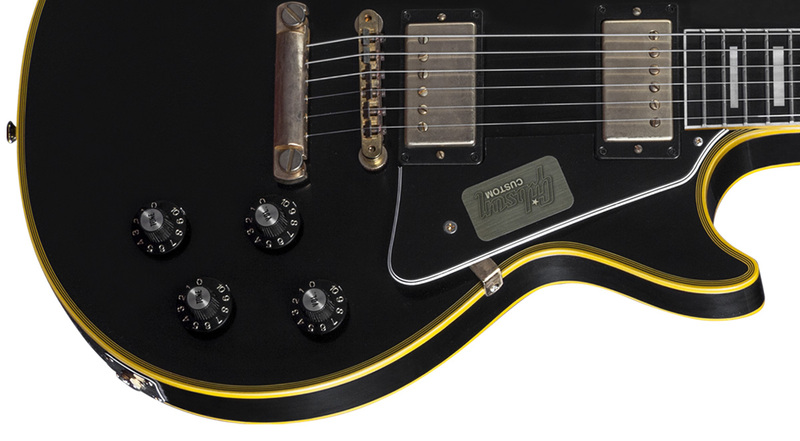 Nitro Cellulose Finish; Vintage beauty Hand-sprayed and wet-sanded by hand to produce a lush, authentic vintage finish. 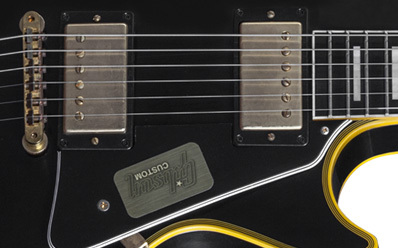 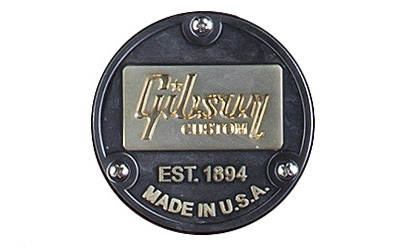 68 Custom Pickups Based on real world examples of original humbuckers of the era. 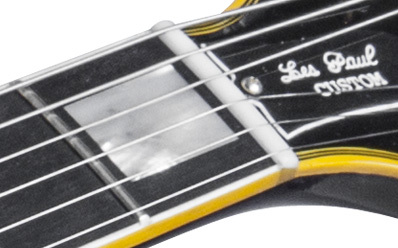 Hand-Scraped, Multiply Binding Multi-Ply binding of white and black in layers on the guitar's top, back and headstock are hallmarks of the legendary Custom look. 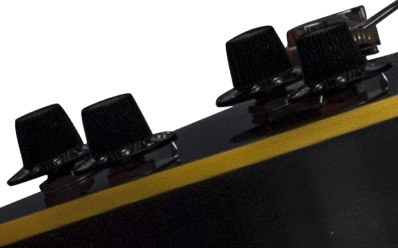 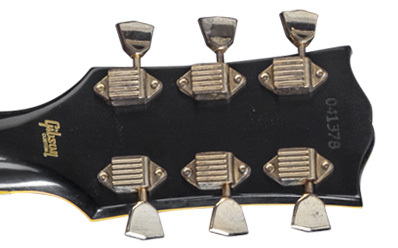 Lightweight Aluminum Tailpiece A vintage specification that reduces weight and enhances tone and sustain. 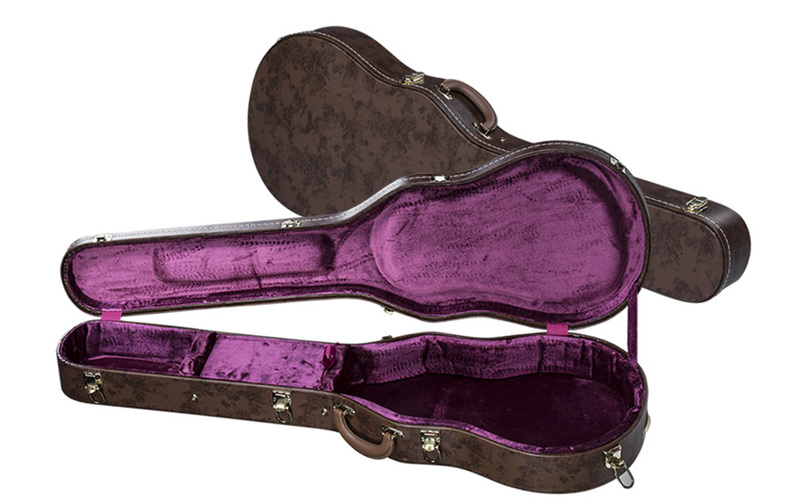 Hide Glue Neck Construction Hide glue is used to join the neck and body as well as the top and back-an old school tradition in high end woodcraft. 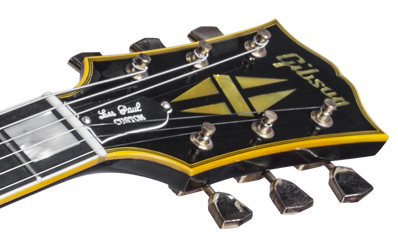 Dimensions: Large: 2.921 cm x 1.7018 cm / 1.080" x .875" Small: 3.937 cm x .6096 cm / 1.375 x .155"
The Custom was one of the first genuine single-cut Les Pauls to roar back into the lineup in the late '60s, and has been a popular and collectible evolution of the model ever since. 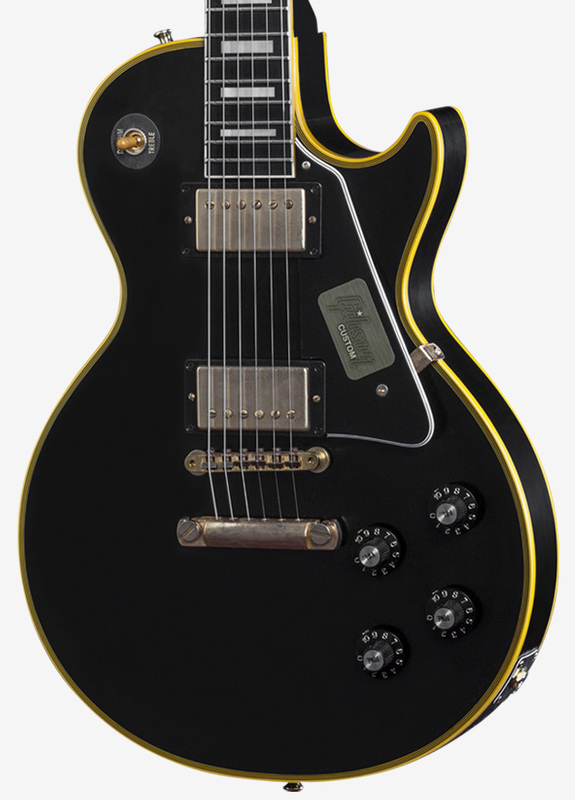 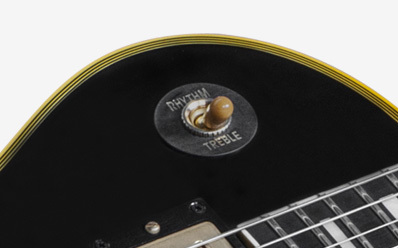 The 1968 Les Paul Custom Reissue marries accurate specs and features such as a long neck tenon, full-size Alnico II humbuckers, and an authentic '68 neck profile with the elegant Custom appointments like pearl block markers on an ebony fingerboard, gold hardware, and period-correct multi-ply binding. 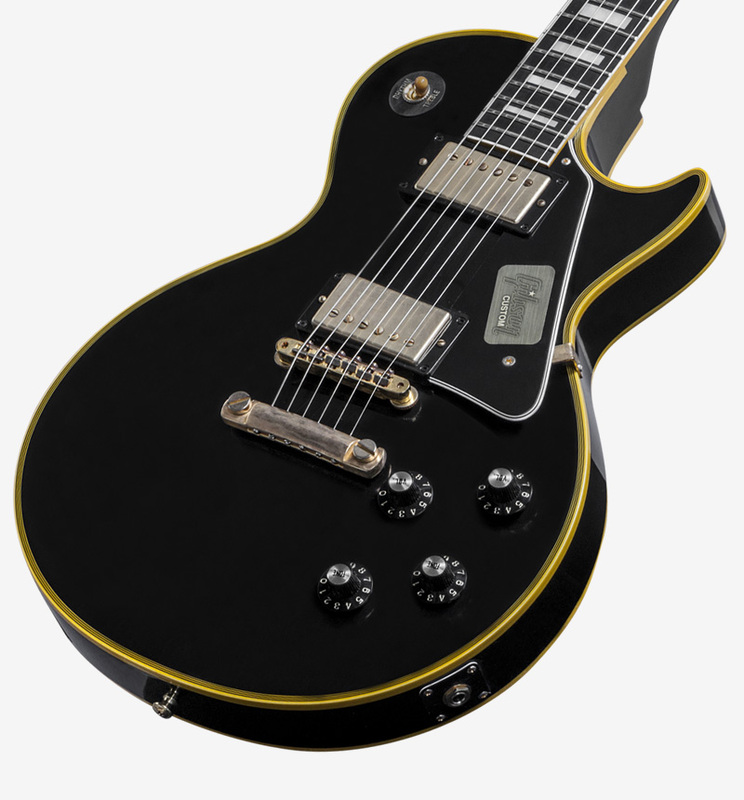 Dressed in a hand wet-sanded nitro Ebony finish, it's the closest thing to bagging the original return of the "Black Beauty."